I am a history nerd. 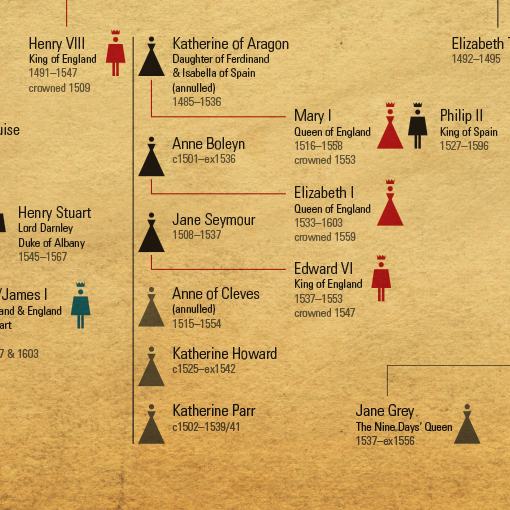 I am obsessed with royal bloodlines, especially that of Great Britain. The story of how the line evolved over centuries is better than any daytime soap plot I’ve seen. One of my current reads is The Six Wives of Henry VIII by Alison Weir. 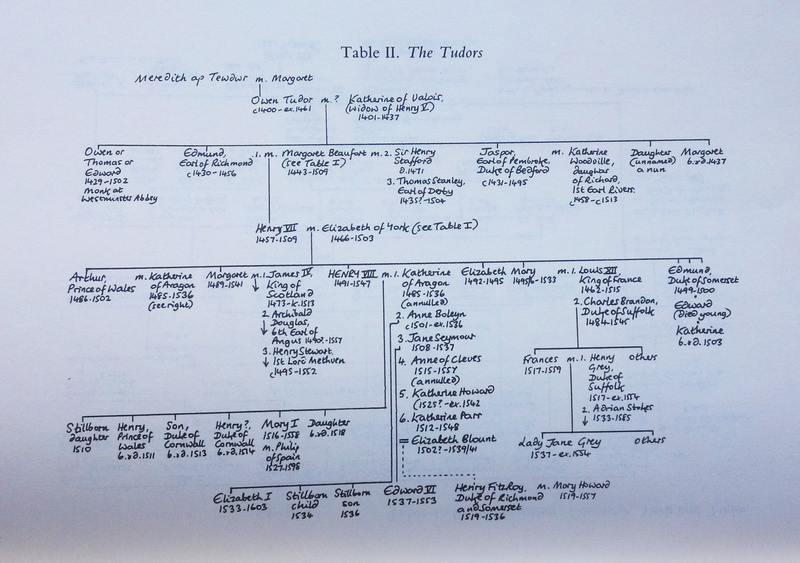 I love reading all the family trees in the appendix, but they can be quite cumbersome and hard to follow. 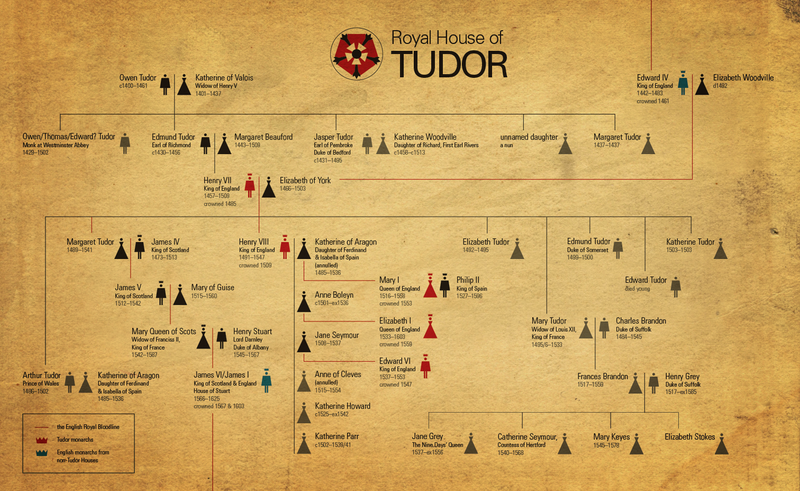 In this (Re)Design project, I revamped the Tudor family tree to read more clearly. 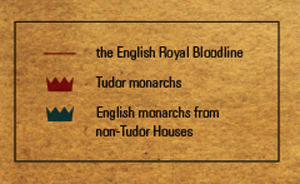 Icons were used to display gender and kingship, and color was used to illustrate the actual royal bloodline. I also edited some of the content to what I thought was more relevant. Click to enlarge! 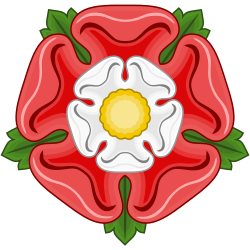 The title logo is a stylized version of the Tudor rose. 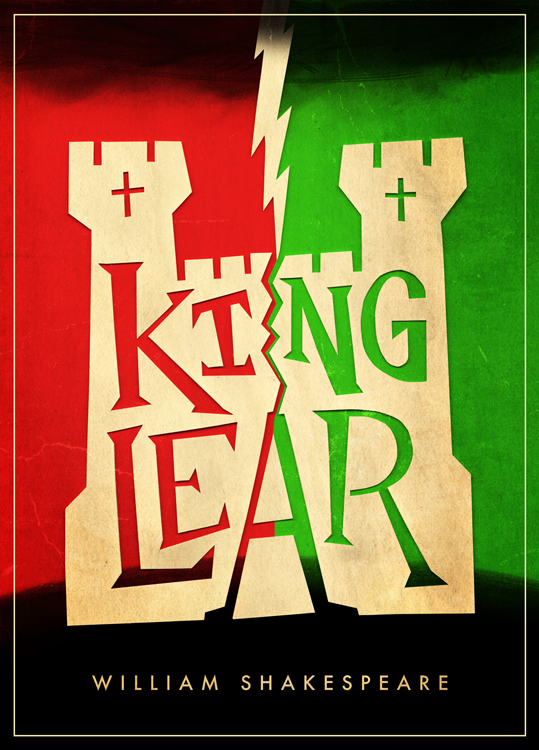 For my next (Re)Design challenge, I set about redesigning the cover of one of my favorite plays, King Lear. There have been many cover designs over the years, but I wanted to create one that was more personal (and I wanted an excuse to play around with some custom type!). Old, but not so wise, Lear decides to divide his kingdom among his daughters and their husbands, leaving nothing for himself but his title. You probably wouldn’t have to of read it to know that it doesn’t end well. 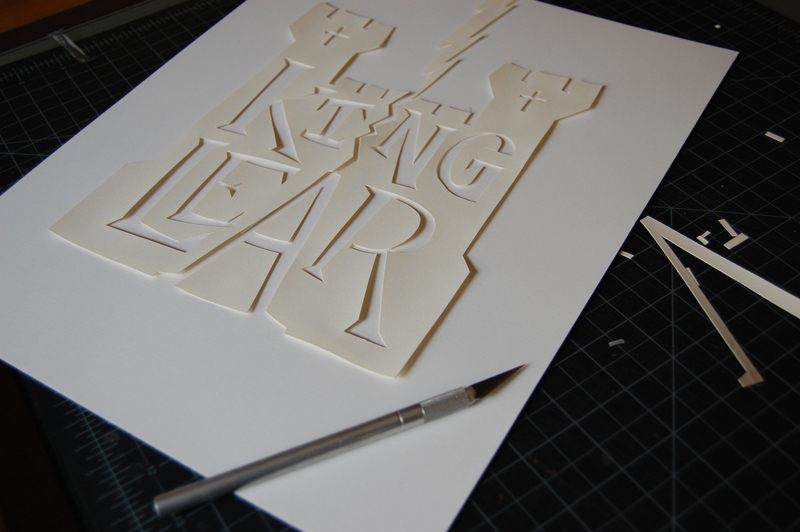 Considering the theme of division within the story, I thought that cut paper would be an appropriate medium. The cover was inspired by the tempest in which Lear goes mad, which is ironically when he starts making the most sense. While I was working on it, I also realized the parallel that the imagery had with the Tower card from the Tarot deck, in which a bolt of lightning strikes a turret. It represents unexpected upheavals that go against what was commonly believed. 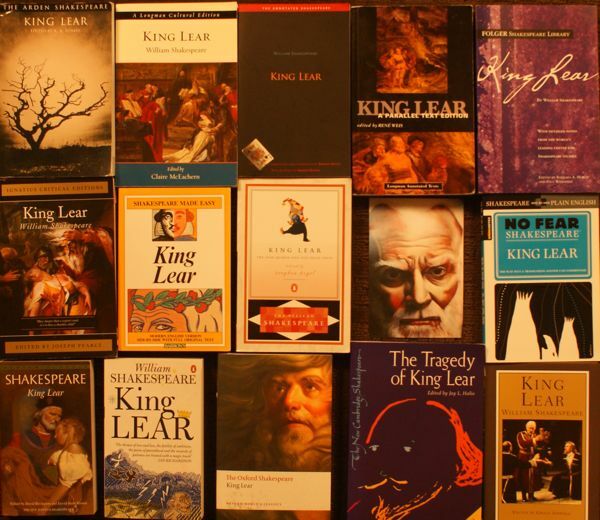 In this case, Lear believed he could take an early retirement and have his children do the work of keeping his kingdom in order, and in the end he triggered a series of events that brought down his entire house. I started by sketching thumbnails of the overall look. Then I taped down some Strathmore drawing paper to the cutting board, and taped a sheet of tracing paper on top of it. I sketched out how I wanted all the type to look. Then I used an xacto knife to cut away all the negative space. I rolled up pieces of drafting tape and stuck them all over the back of the cutout, then mounted it to a piece of bristol board. I scanned this piece and masked out the color background. I also scanned some pencil sketches I created for the ground and a cloud.